Jamaica and Canada are as far out of the United States as I’ve ever gone, but I do have grand plans for future world travel. While I dream of sipping café au lait at a posh French bistro and sailing along the shores of Greece, there are plenty of swoon-worthy destinations to explore here in United States. Here is my bucket list for US travel…Who’s ready for a road trip? Up in the Appalachian Mountains is a 469-mile stretch of gorgeous scenic overlooks, hiking trails, campsites, and old homesteads. The Blue Ridge Parkway connects the Great Smoky Mountains in North Carolina to the Shenandoah National Park in Virginia and is one of the most visited area of our National Park System. I’m hoping we can check out a stretch on our trip to the Smoky Mountains at the end of the month! While the Grand Canyon should be on everyone’s US travel bucket list, there are plenty of other beautiful natural sights that are worth a trip out West. The Paria Canyon-Vermilion Cliffs Wilderness is more than 100,000 acres of smooth cliffs, red rock amphitheaters, and hiking trails. It’s known for being a great place for solitude – I can’t image a better place for a hike to clear your mind. There’s a powerful beauty in the redwoods in California – they’ve been growing for thousands(!) of years. I want to take in the awesomeness that is General Sherman – the largest single stem tree in the world. The park spans more than 400,000 acres and reaches up to 13,000 vertical feet. The park also boasts the tallest mountain in the contiguous United States: Mount Whitney rises to 14,505 feet above sea level. If I could pick one thing to see before I die, it would be the Northern Lights. According to Wikipedia, the Northern Lights (or Aurora Borealis) are caused by the collision of solar wind and magnetospheric charged particles with the high altitude atmosphere. According to me, they are a magnificent display of the cosmos. To each their own, I suppose. 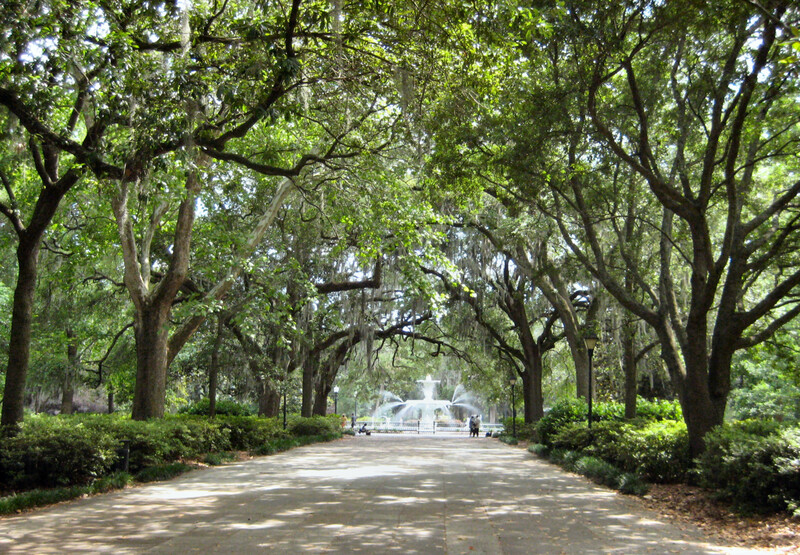 The only urban center on my list, and I chose it because of the lovely Spanish moss trees and southern charm of Georgia’s oldest city. It could also be because Gone With the Wind is my favorite movie of all time. Savannah has it all – beaches, historic landmarks, five-star food, ghost tours, early American architecture, gardens, and more! Tell me about some of your favorite places to visit in the States!